In the 1st quarter of this year another substantial delivery of batteries with the capacity of 190A/h arrived in the Arabic Republic of Yemen, totaling six containers. The company has already reported about the government contract was signed at the beginning of 2008. Last year twelve containers of storage batteries were delivered. Due to the first successful delivery of said contract, it has been prolonged for 2009. 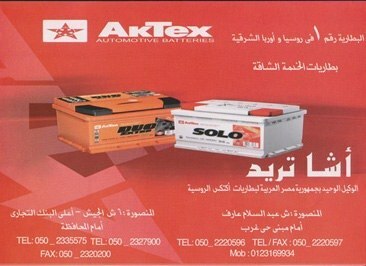 Advertising campaign of AkTex brand continues in Egypt. 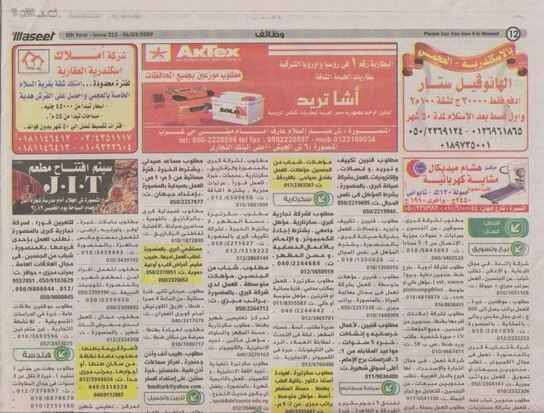 Aktex Inc. earlier reported about signing of the distribution agreement with a trading company in Egypt. 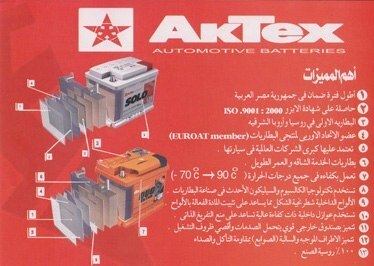 Besides the wholesale and retail trading of starting batteries, the partner company is engaged in advertising and promotion of the AkTex export line. The first stage of cooperation will be concentrated on the distribution in Egypt, with further expansion throughout the territory of North Africa.